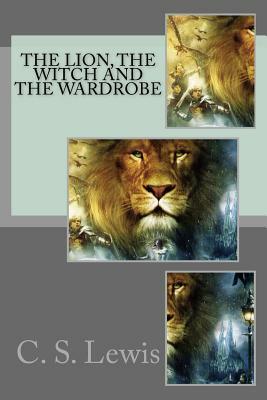 The Lion, the Witch and the Wardrobe A Story for Children by C. S. Lewis Narnia...the land beyond the wardrobe, the secret country known only to Peter, Susan, Edmund, and Lucy...the place where the adventure begins. Lucy is the first to find the secret of the wardrobe in the professor's mysterious old house. At first, no one believes her when she tells of her adventures in the land of Narnia. But soon Edmund and then Peter and Susan discover the Magic and meet Aslan, the Great Lion, for themselves. In the blink of an eye, their lives are changed forever. We are delighted to publish this classic book as part of our extensive Classic Library collection. Many of the books in our collection have been out of print for decades, and therefore have not been accessible to the general public. The aim of our publishing program is to facilitate rapid access to this vast reservoir of literature, and our view is that this is a significant literary work, which deserves to be brought back into print after many decades. The contents of the vast majority of titles in the Classic Library have been scanned from the original works. To ensure a high quality product, each title has been meticulously hand curated by our staff. Our philosophy has been guided by a desire to provide the reader with a book that is as close as possible to ownership of the original work. We hope that you will enjoy this wonderful classic work, and that for you it becomes an enriching experience.